June Arrived So Quickly & I Have A Feeling It Will Pass Just As Fast! With July Just Around The Corner, So Is The 4th Of July-Independence Day! 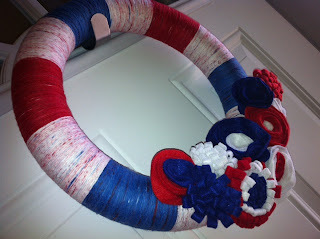 This Lovely Wreath From String 'n' Things Arrived Just In Time! I Love The Colors & Design Of This Wreath! 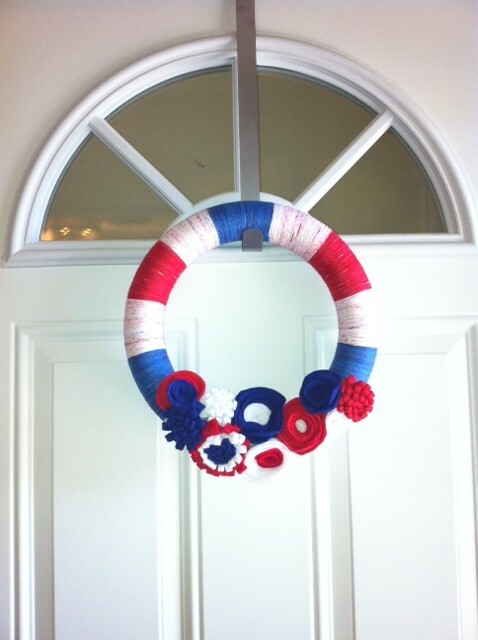 It Is Beautifully Made & I Am So Thankful & Proud To Have It Hanging On My Front Door! Thanks Andrea At String 'n' Things! 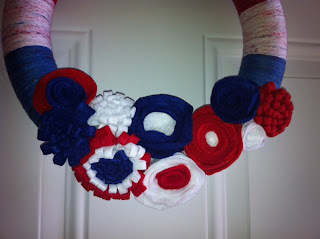 Along With A Wide Selection Of Wreaths In Her Shop, Andrea Also Makes Bracelets & Necklaces! You Can Connect With Andrea At String 'n' Things Through Etsy & Facebook! I love this wreath! It looks great on your Door!